The characters’ main purpose is to venture out into the depths of a dungeon, kill monsters and gain loot, and then make it back to the surface alive in order to enjoy the primary benefit of those rewards: Experience! The longer they stay on a run, and the deeper into the dungeon they go, the greater the reward, and the darker the dangers. Each time they move to a new unexplored room, that costs a turn as well. Each Combat encounter lasts a minimum of 1 turn, regardless of actual number of rounds. Combats longer than 60 rounds can last more than 1 turn. A casual examination of an entire room takes one turn. This does not locate any secrets, but does give a full visual description. Searching for Secrets takes one turn per 10×10 area of the room, and uses the Search skill. Characters can split up to search different places simultaneously and save time. For thieves, this will also include searching for traps. Adventurers with darkvision don’t have to worry about light. But as long as even one single party member requires light, then the entire party requires it. To keep visual track of this, I use a set of white dice to represent light. Each lit torch gets a white d6 (6 turns), with white d10s and d20s combined to represent light spells and lanterns. The session begins with each player grabbing a random character from the stack. Give them all names, and also give the Dungeon itself a name (this makes it way cooler) – there’s even a good random Dungeon Name generator at donjon. Why are the heroes gathered to go into this Dungeon? Are they seeking general wealth? Or are they after someone hiding deeper down in its dark depths? The answer to these can help flavor future encounters. Each time the players choose to move forward to a new room of the dungeon, listen to how they plan their progression, and build the HAMMERCRAWL! dice pool accordingly. Roll the random dungeon room dice first, and pick one blindly. Then roll the number of exits, if necessary or applicable. Draw it out on a card, then roll the Encounter pool and divine the results. Resolve the encounter as normal. When done, ask them what they’re doing next. If they are moving on ahead, then repeat this process. Backtracking: Each time the party moves back through a room they’ve already visited, there is a cumulative 1 in 10 chance that the room has repopulated with enemies and stuff. If that chance occurs, roll a new encounter as normal. Nowhere is truly safe! The characters will gain XP from encounters they defeat, and hopefully loot as well. 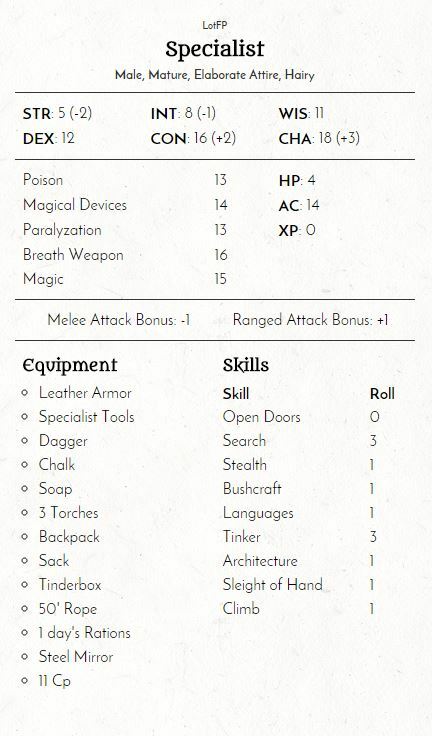 XP earned from encounters is immediately applied to the character sheet. Using traditional rules, monetary loot also counts as XP – but in HAMMERCRAWL!, that XP is only applied after the heroes make it back to town with the loot. So when loot is acquired, write down the loot and its value, but do not count it as XP just yet. Heroes can also convert a fraction of the loot to XP as a Camp Action, but this wastes the vast majority of it. Sometimes a player will want to use a skill for something more esoteric. For example, a dwarf might want to use Architecture to learn a bit about the ancient creators of the Dungeon (like, were the Dwarves? How did they die? etc). If successful, make up some narration, then give the player “+1 forward” on their next related skill check down the road. As Skulls are rolled, the Danger Meter grows. For every ten full points of the Danger Meter, add one more Purple die to the encounter rolls. This tally resets when the party returns to town. Camping requires light for three turns (unless the entire party has darkvision) – without adequate light for all three turns, the adventurers cannot camp. Camping uses a ration per adventurer. Any adventurer that does not use a ration does not benefit from the camp effects. Heal: Restore one rolled Hit Die of damage per character level. That hero consumes one additional ration. Re-Memorize: Recover one daily spell use per character level. Level up! If the hero has enough XP to reach the next level, they can apply the effects of that level as a Camp Action. This adds a Hit Die, as well as any other new-level bonuses. Note that it does not heal existing HP loss or restore used spells or abilities (those are separate Camp Actions, above). Keep Watch: Add a Green Die to the next room explored. Scout Ahead: Roll Search. If successful, add one Yellow die to next 1d4 new rooms explored. If failed, add Black dice instead. When the heroes choose to camp, the Hope Meter is wiped and starts again from zero. If the heroes are feeling particularly brave, let them know that they can choose to not camp, and instead keep powering forward through the dungeon. Doing so earns them a Red die added to their base exploration pool, one for every ten full points of the Hope Meter. Regardless, once they finally camp, the Hope Meter is still wiped and starts again from zero. Restore HP to Max, and relearn daily Spells and Powers. If their loot value is enough to level them up, apply just enough to level them up and discard the rest. Apply any effects of character leveling. If their loot value is not enough to level them up, apply only half of it as XP and discard the rest – you shouldn’t have left the dungeon so soon! Restore their standard starting equipment list to full original capacity. When a party member is considered Dead, that’s it, they’re dead. The player draws a new character from the stack and shows up either one Turn or one Round later, whichever makes more sense or seems more exciting. Looting the Fallen: During active combat, a character can take any one readily-accessible item from a fallen ally as an action. Any more in-depth looting must wait until the action is over and the danger clear. After combat, multiple PCs may wish to loot their ally at the same time. Handle this as a special kind initiative. 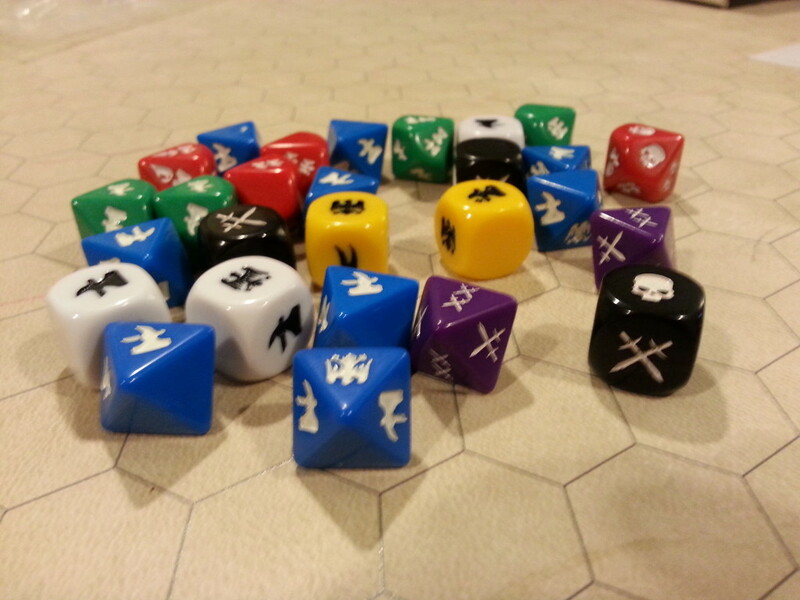 Roll off as usual, and then on their turn a PC may take either one specific item or 1d4 random items. Money loot from fallen allies is always split evenly among the survivors, unless they otherwise work something else out among themselves. I mentioned in the previous post that this isn’t really a system meant for long-term play. However, the more I think on it, I can see certain ideas and possibilities opening up to make this happen. It would certainly be a very methodical and quite humorous game, but it’s not impossible. I’ll give it some greater thought and maybe turn this into a three-parter. Awesome! I’m planning on running this again at Gamestorm 2017 too. It’s been a load of fun every time.